Do you need a utility vehicle but you don't want a "beast"? 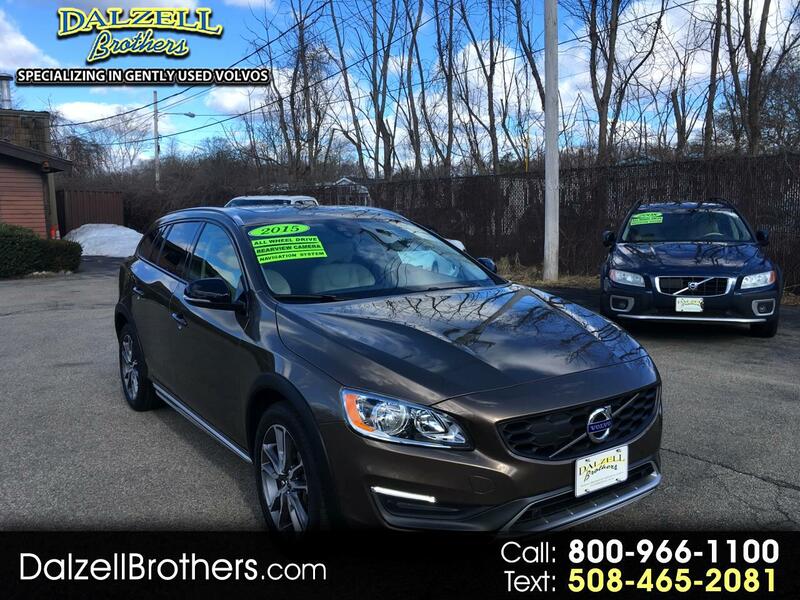 The Volvo V60 XC will fit that bill! The profile of the V60XC is not above your head, BUT this sport wagon has almost 7.5 inches of ground clearance. and this car is very well equipped. It has the full climate pack which includes heated front and rear seats, heated windshield nozzles, heated windshield and heated steering wheel. It has a leather interior, moon roof, front and rear parking sensors, blind spot system with cross traffic alert and much more! Check it out today! ALL OUR VOLVOS COME FULLY SERVICED AND WITH A WARRANTY. 90 DAY BUMPER TO BUMPER AND 12 MONTH / 15K MILE POWER TRAIN AND WITH 2 KEY/REMOTES A FULL SET OF BOOKS AND FLOOR MATS. Easily over 900.00 in value. Don't Miss Out!! Call TODAY!! 800-966-1100 to verify vehicle availability, options, and pricing. See all of our vehicles at WWW.DALZELLBROTHERS.COM We're very easy to find on Rt. 1 south in Foxboro near Gillette Stadium!